Playing chess with Cullen and Dorian, could life get any better? 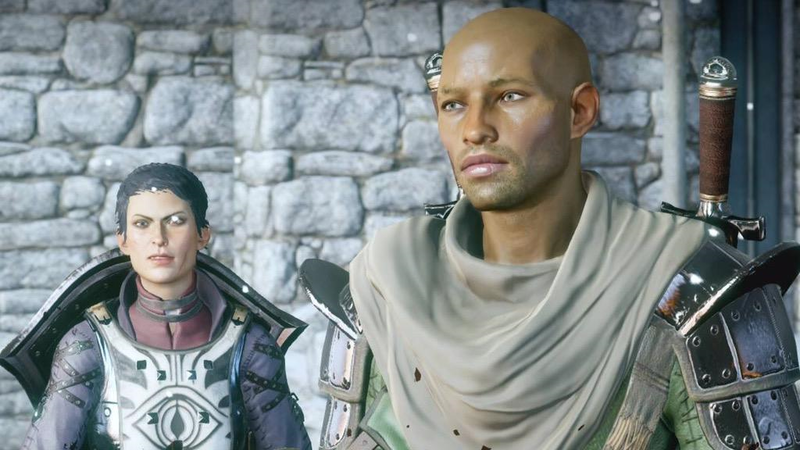 Watch in 720p for the full Dorian body experience 😉 I think I’m going to flirt my way through this entire game..
My entire party was slaughtered on the Western Approach so I’ve retreated to the Hinterlands to lick my wounds. For some reason Blackwall and I have become a thing… Not sure how that happened. My female elf Mage inquisitor! We have made it to Skyhold!! It has been interesting meeting Cole, I’ve read a bit about him and am looking forward to learning more about his back story. Also Krem, KREM! Such an amazing character, I hope s/he has a bigger part to play in the story, at the moment s/he seems to be a bit of an add on, to make Iron Bull more approachable? I’m still in the Hinterlands and have done a bit of the Storm Coast, found the Black Emporium (haha) and will probably now spend a bit of time in Skyhold. Yes I finally, finally got this game! I have been a huge fan of Bioware since I started gaming, I played Dragon Age Origins and part of Dragon age II. Now that I have a PlayStation 4 I can finally experience all that is modern gaming with this exceptional game. Here is the amazing trailer, I love the music, the lazy confidence of the main character and the tight team depicted in it. So far I have made 2 Characters, here is my Male Human Rogue, will be interesting playing as a man..
I’ve made it to Redcliffe and finally met Dorian! He is such a darling.. and the clothes he wears (or doesn’t wear) whooo..
I’ve spent a huge amount of time in the Hinterlands helping refugees, stopping the fighting between mages and templars etc etc. Visited the Storm Coast for a bit as well as a few other areas, but the Hinterlands seem a bit more populated. Getting the hang of crafting etc Sera’s bees have been a godsend when fighting bears. 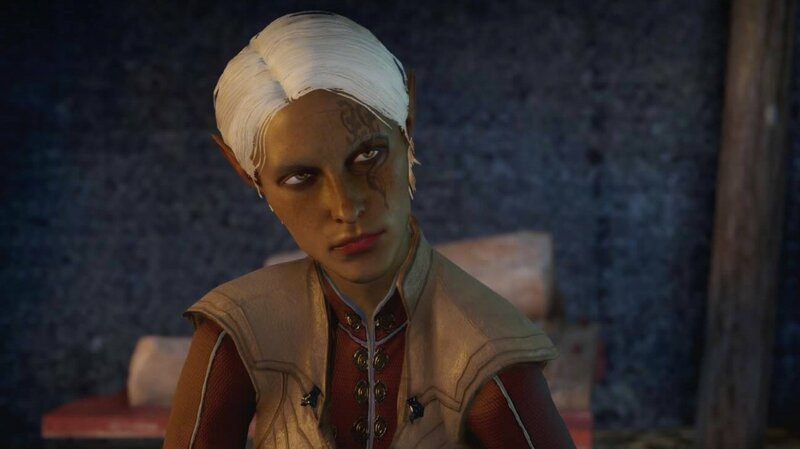 So far my fave companions are Iron Bull, Sera and Vivienne, I try to take them out with me as much as possible but I have a feeling that they tire if you take them out to much? loosing health more quickly? So I change up my team on occasion. I cant find the place where I can see how much time I’ve spent in game but I’m sure its around 20hrs.. I also have the mages working alongside us and FREE at Haven, that caused a lot of ruffled feathers but I’m getting the feeling that this game is quite similar to Mass Effect in regards to the fear of artificial intelligence. My take on it is that we have to at least trust in the mages to use their magic wisely if we are to move forwards in peace. Keeping them locked up in circles and hunted down just creates more of a threat, possibly tempting them to use blood magic in order to gain more power and control over their lives etc etc.